Polka dot patterns are the most popular theme at all parties. This includes kids birthday parties and bridal showers. 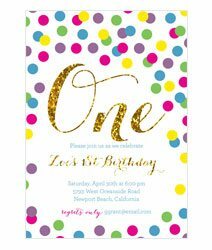 At Polka Dot Design, polka dot invitations are available online. You don't even need polka dot coupon codes or discount codes. You can get the best priced custom party invitations on the world wide web. We know life can be a series of celebrations. It is our hope that Polka Dot is the place you find everything you need. We want to celebrate life with you. We offer party themes for every occasion. Whether it be a Quinceanera or a 50th Birthday Party. It could be baby shower invitations for girls that you need. If you're browsing for ideas for your own DIY wedding invitations. We have all the tips and favor ideas that you could imagine. If your party is religious, we have cute invitations. It could be a baptism & christening or a first communion. Maybe it's for a bar mitzvah. We offer quick turn times to meet your every need. It is your child's first birthday party and you need the right cute invitations. For a corporate event that you don't want to buy at the office supply store. We can help! Maybe you're planning a special 25th Anniversary. You want everything to be perfect. We are available to help with anniversaries. Even if you have no time at all and you need some cheap invitations. We have copyright free printable party invitations through our Etsy site. All of our invitations and party favors are affordable. Polka Dot Design has a high end boutique quality. We offer cute stationery items to spruce your office too. We have office accessories like monograms in our Personalized Gifts. We offer personalized gifts like cute stationery sets and calendars. We have monogram note cards. We sell envelopes and address labels to match. Our price points are similar to the cheap stationery. You might find in our stationery store. We have couture quality and the feel of designer paper. The themes we offer at Polka Dot Design are on trend. You can find all kinds of inspiration and free printables through our Blog. Find us on Facebook and Pinterest boards. 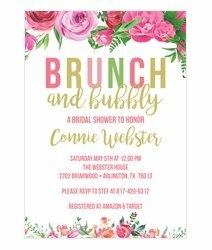 We feature ideas with party invites and bridal shower invitations. Wedding Invitations, such as a rustic, lace and vintage wedding. Look for Hello Kitty Party in our party supplies. Guess Whooo Loves you Owl Party and lots of ideas. These are perfect Party Favors for Kids and guests included. We have Print at Home Invitations from the leading stationery brands. Some of you that may want to Make Your Own Wedding Invitations. You could be proud as a Peacock. Invite all your loved ones to your Destination Wedding. We have what you need. if you can't find it, call one of our customer service agents. We will see what we can do to make your experience personal and unique. It is the little things, like appealing typography. Or an elegant color story and a chic pattern design. All of this to set the stage for your personal celebration. Polka Dot Design is available to Celebrate Everything with you. You may look for inspiration for your kids birthday party themes. We've got that along with kids party invitation wording. Come check out the laser tag invitations and tea party invite. We have pool party or bowling party invitations for the kids. We have butterfly, fiesta, horse, baseball, and princess party invitations. Pirate parties & polka dot invitations are a few of our favorites. Perhaps you've got the bragging rights of having a graduate in the house. Come by and check out our graduation announcements. We've got graduation party invitations. We can customize using your school colors. Stop on in and get help. 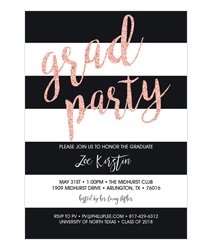 We will help with graduation announcements wording along with your free proof. For those uppity ladies and gents. who want to celebrate horse racing. We offer horse racing invitations and Kentucky Derby invitations. Jump online to see if you need Kentucky Derby invitation wording. 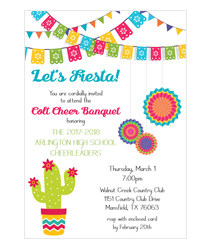 Feel free to take advantage of our party invitations wording pages. Whether it's tea party wording or graduation announcement wording. We've got what you need. Visit customer care for anniversary invitation wording. If you need girls night out wording ideas, we have that too. 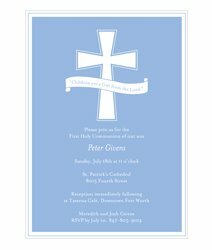 Don't forget Polka Dot Design offers custom boutique style invitations. We have announcements, & stationery from top designers. Designers such as Sarah Leclere and Odd Balls Invitations. We many other high end invitation companies too. Check out the Cirque du Bebe invitations from Hostess with the Mostess. Use these for your baby shower and be the cutest shower giver. Peruse our affordable wedding invitations. These are digitally printed on high quality 110 lb. matte stock. You can design your own online in our digital design studio. You will receive a free proof from our typesetters and layout specialists. This is once you place your order. We have a lot of pre wedding celebration invitations to browse through. 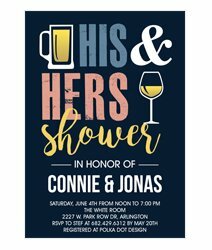 If you need to shower the bride to be with a lingerie shower. You could throw her a bridal luncheon. Whether it's a fiesta or a bachelorette party. You will find so many bridal or baby shower ideas. 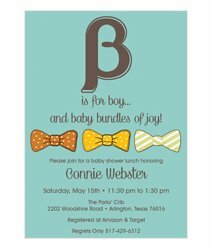 We have bow tie baby shower invitations. These are cute ideas for boys baby showers. They're all in our online stationery store. You will also find trendy styles. 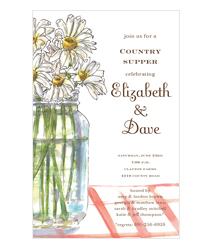 We have mason jar bridal shower invitations. We have die-cut dress wedding invitations. 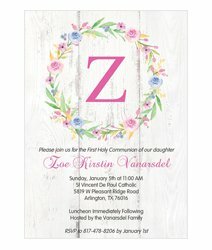 We have chevron, burlap and lace, and watercolor invites. Choose our bridal shower template for your bridal tea. We have started offering personalized stamps from PSA Essentials. These personalized stampers make cute gift ideas. Anyone will be tickled pink to receive one of these stampers. They have tiny print on them and choose from any number of ink cartridges. We offer one color ink cartridges and two-color ink cartridges. Pantone released it's Pantone Marsala color of the year. We have Marsala invitations and Marsala shower invitations. This will help out with all of your cute party ideas and trending party ideas. If it's tea party invitations in Marsala. Or Mermaid party invitations in Radiant Orchid. Let us know and we will get those little tiny prints knocked out for you. 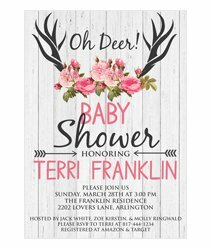 To shower baby and family, take a look at your baby shower announcements. These cute cards are a trendy way to let the family know about the upcoming shower. Send us your guest list and we can print the variable data for the addresses on the front of your envelopes. Perhaps you're looking to have a circus party. Meri Meri Partyware has a Silly Circus Partyware line for you. Bring the big top home for your kid's circus party today. From invitations to party supplies, Polka Dot Design is your source. We will help to get your party started right. If you need any help, call us. 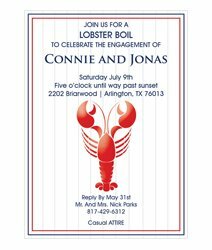 Email us any questions regarding our custom printed invitations. Feel free to leave us a review on Google or check out the current reviews for our business. You can find stationery coupon codes in our announcement bar that can be used on holiday cards or invitation cards. We do offer free shipping on large orders of business cards and tea party baby shower invitations. Call our customer service team and you will be tickled pink with our service. We can give you an american stationery coupon. From big celebrations to weddings or bat mitzvahs to do it yourself projects. For one little baby boy, our calling is to help bring the joy. Put it back into showers parties and your life! As you enter our online store and read our blog, you'll find inspiration. Use imaginative entertainment themes. 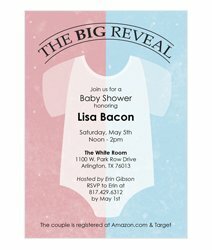 Create baby shower invitations. Find how to find stylish decorations, easy recipes, etc. Most of our products get created with the idea of the holidays. How to celebrate them. Other special occasions deserve some specific, like an invitation for baby shower. Others make everyday moments sparkle and we want to help. Because we love celebrating life with you. Our favorite creative ingredients include whimsy, timeless style, and original details. You'll find these traits to be consistent throughout the process. Starting with our personalized customer care. All the way until the end when we ship your invitations and they arrive at your door. We are there every step of the way. We don't consider ourselves to be a regular online invitation company. The majority of our efforts go into creating an effortless customer experience. Delighting each client with every detail. We do enjoy taking on special projects. Invitations babies shower plans are what we do. We have over 20 years of experience in the social planning business. We've found that creating and helping our customers like no one else, is a fundamental sweet spot for us. It's where we like to live. Our promise is simple, keeping things easy and elegant is an important part of making them fun. It's true that creating memorable moments takes work. Our practice is to embrace all possible ideas with a creative "Cheers". Hopefully even a celebratory cupcake, with vanilla cream filling! We know that you don't have time to spend an entire day making wildly intense toppers for a billion party guests. Nor do you want to spend an entire week trying to shower invitation baby ideas on your expected mommy-to-be. We have concepts for you like "Rainbow Pancake Party" and "Cocktails & Cupcakes". This helps make all of this planning a bit easier. We have recipes on our blog to show you how to make a dessert. One that tastes wonderful and has a handful of ingredients? Yes, please! With all that we have to do in our life, it is our goal to help you make this piece a snap. We have options for coordinating your event with the perfect centerpiece. That's a little time consuming but will have guests snapping pictures and asking to take them home. We have the simplest of solutions like a simple mason jar filled with twinkle lights and sunflowers. In customary ways, for us, it has come to having fun and making things easier for you. We hope the inspiration, support, and endless designs here at our boutique and blog will amp your creative side. Help make the event planning process a little bit sweet and a whole lot simpler. We know that it should be fun and exciting to explore ways to invite baby adventure. Creativity is at the heart of what we do. You get to relax and be the life of the party! You'll discover fashionable inspiring concepts and resources for everyone. From the first-time, novice hostess to the wildly seasoned pro that has seen it all. We share imaginative events, do-it-yourself tutorials, and recipes. We have a love for great design that also makes people smile. If you're looking to throw a grand event, you're in the right place. You'll find lots of doable decorating plans. You can order thank you notes and matching favor stickers to complete your custom event. This will make things easy for you to wow your guests. You will make the guest of honor feel super special. Let us show you the influence of real paper invites in a world of e-vites. And the delighted smile of guest opening their mailbox. Only to find a handwritten envelope to invite them to something. Two of our favorite thing in all the world is a smile and a handwritten note. The idea to share tips on how paper can play a pivotal role in any celebration. This inspired us to start our own blog. This allows us to help you create unique and customized experiences for your guests. Since paper designs are notably the first glimpse of all events. We don't think there could be a more fitting topic to explore with you. Our design staff has extensive experience in graphic design. We rely on inspiration from the top paper trends to design elements. This inspires a theme and put the finishing touch on the designs we share with you. Basically, we know that these are the things that take a plan from fine to fabulous! Our paper designs have small design details like mini paper flags on a string banner. Big elements like Kentucky Derby jockeys and elegant urns of florals showcasing the guest of honor name or names across the top of the paper. It is a wonderful means to make a huge impact as the envelope opens and the guest pulls on the invite. We believe there's no table scape, sweet-treat table, or party favor that can't be much improved. This with a neatly placed paper detail and a splash of what we call, the added sparkle. A picture is worth a thousand words. Instead of telling you that paper elements can bring your party to life, let us help you show it. Think of how different your party would look without all the interesting paper details. And those sweet doses of whimsy that are styled into the gorgeous, one of a kind event you create. With the help and expertise of our design staff, we know there is no end to what you can do. We are in love with all of the custom made traditional paper options. Like the beautiful floral designs and added silk yarns, creating loops of the cupcake or a peapod made out of ribbon! We know! It's enough to take your breath away. Scroll through our site to see all of the options that an event can have. The charming impact of the most elegant venue decorated with selected pieces along with your tasteful style will fall short without the proper introduction of the event via the invitation. A delightful paper scenario can be created around a pairing of reply cards, and thank you notes. All of these are the details that we will help you create. All you have to do is share the dream with us!